This morning, the Disney Parks Blog is giving us a first look at some of the various fun novelty items that will be available as Halloween draws near. First of all, the Oogie Boogie popcorn bucket that proved insanely popular at Disneyland last year will once again be available at Disney California Adventure Popcorn Carts as well as the New Orleans Popcorn Cart. Additionally, a newer (and seemingly more neon) version of the bucket will be debuting exclusively at Mickey’s Not-So-Scary Halloween Parties at Magic Kingdom before also coming to the Disneyland Resort later in the Halloween season. 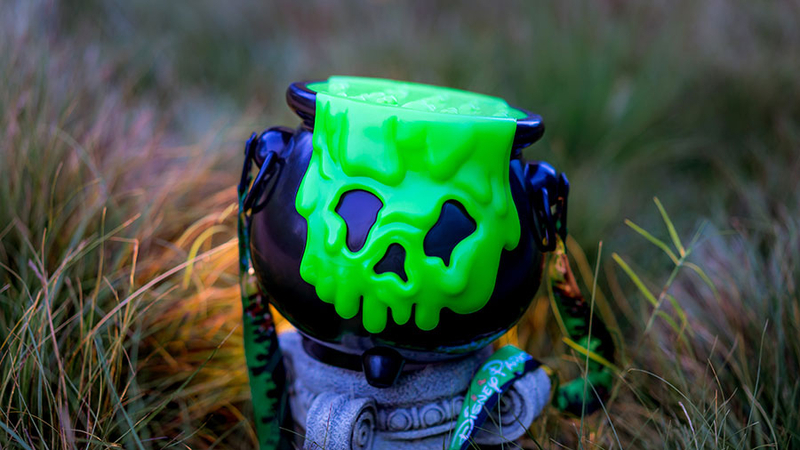 Next up, this Cauldron Premium Popcorn Bucket will be arriving at the Disneyland Resort and Walt Disney World Resort (including Disney Springs) in mid-September and promises a “Hidden Mickey” can be found on it. 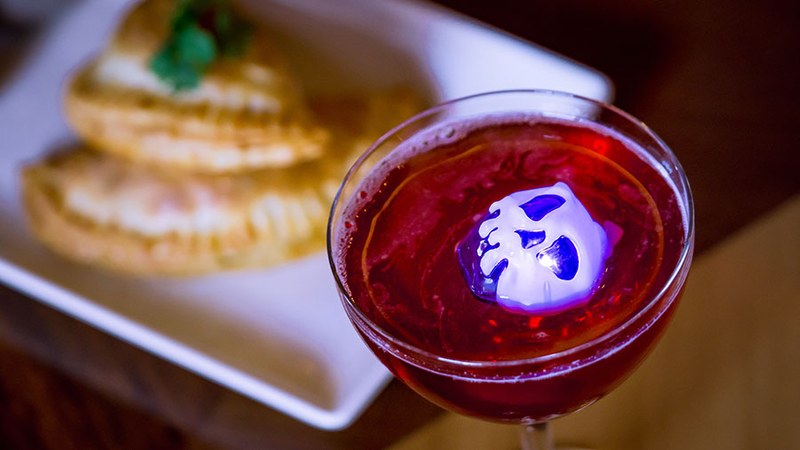 Also returning to both resorts are the Poison Apple Glow Cubes. 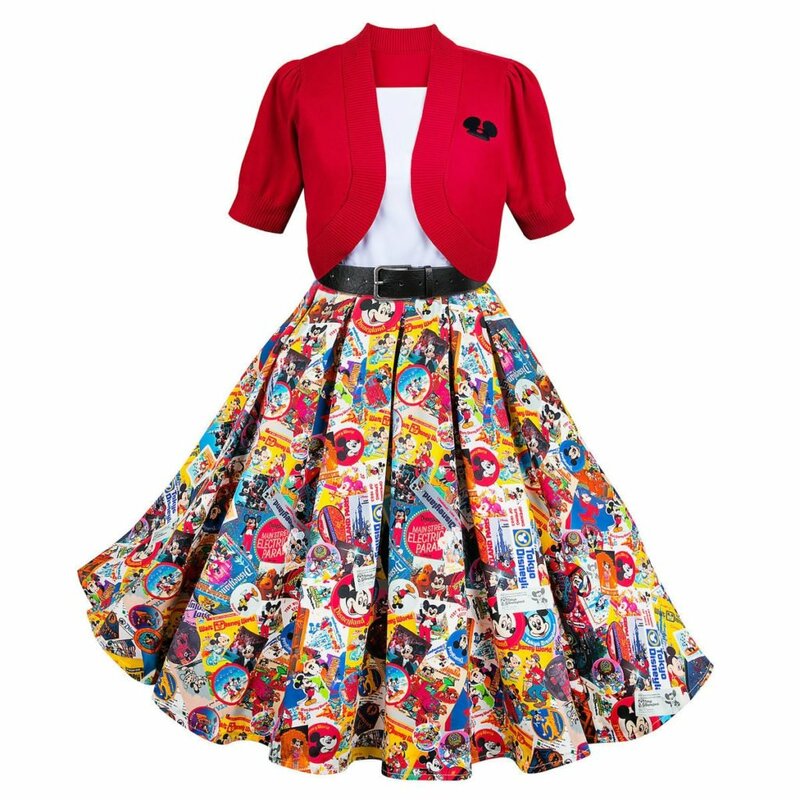 This year, they will be available in three colors: red, green, and now purple. 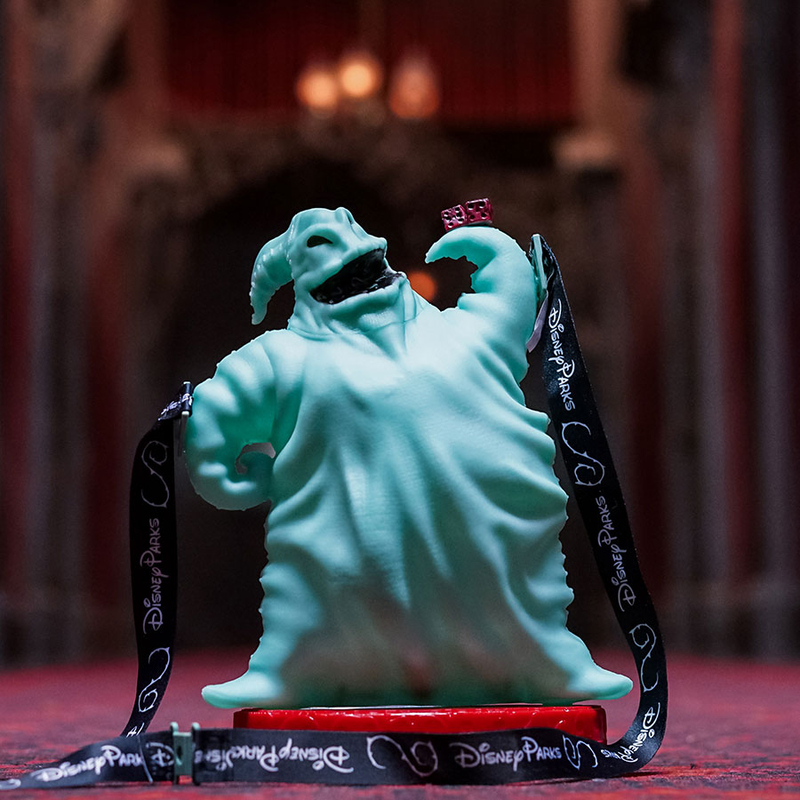 The green version can be found at the AbracadaBar or Jock Lindsey’s Hangar Bar at Walt Disney World, the red can be found at various Disneyland Resort locations, and the purple will be available exclusively Carthay Circle Restaurant. 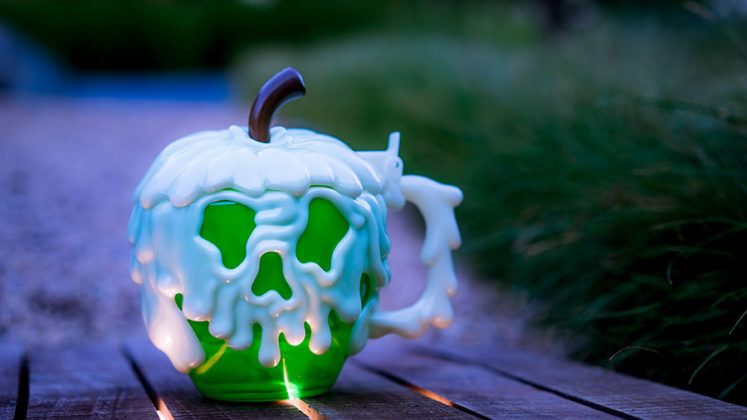 Joining the Poison Apple Glow Cube is the Green Poison Apple Stein, available at various Disneyland Resort outdoor vending carts as well as at Disney’s Animal Kingdom. 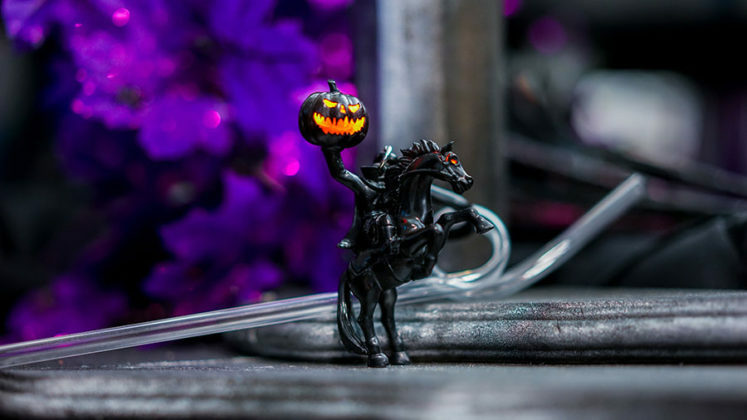 This year, The Headless Horseman Straw Clip will also return to both the Disneyland Resort and Magic Kingdom. 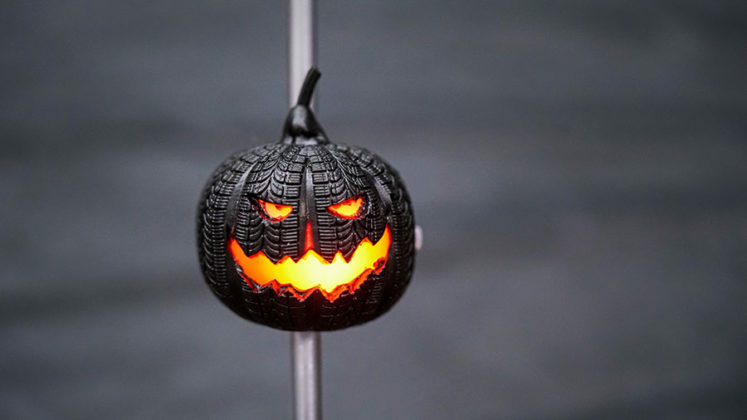 Additonally, the Carsland “Haul-o-ween”-inspired Tire Pumpkin Straw will not only be available at the Cozy Cone Motel and Flo’s V8 Café but will also be available at locations throughout Epcot, Disney’s Hollywood Studios, and Disney’s Animal Kingdom at Walt Disney World. 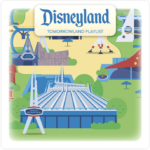 Finally, the Parks Blog also revealed a look at the artwork for the standard Disneyland and Walt Disney World popcorn buckets as well as one for Disney California Adventure. The first base popcorn bucket design will be available at Disneyland park, Magic Kingdom, Disney’s Animal Kingdom, Epcot, and Disney Springs. 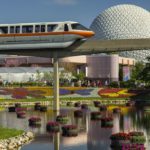 A similar design will also be featured on a travel mug found at both the Disneyland Resort as well as at Walt Disney World (where it can be used as a refillable mug at all resort hotels). 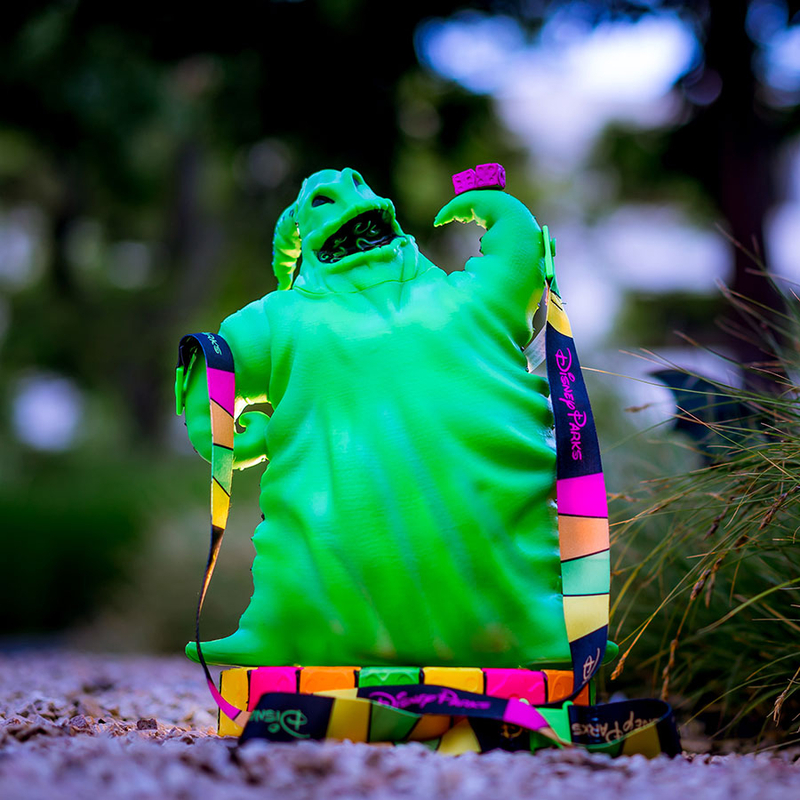 Meanwhile, another design featuring Oogie Boogie will be available exclusively at Disney California Adventure. 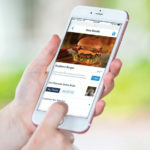 Keep an eye out for all of these novelties as they will arrive at various times throughout September and October while supplies last.